Raffaella is now at 4th cycle of capecitabine. 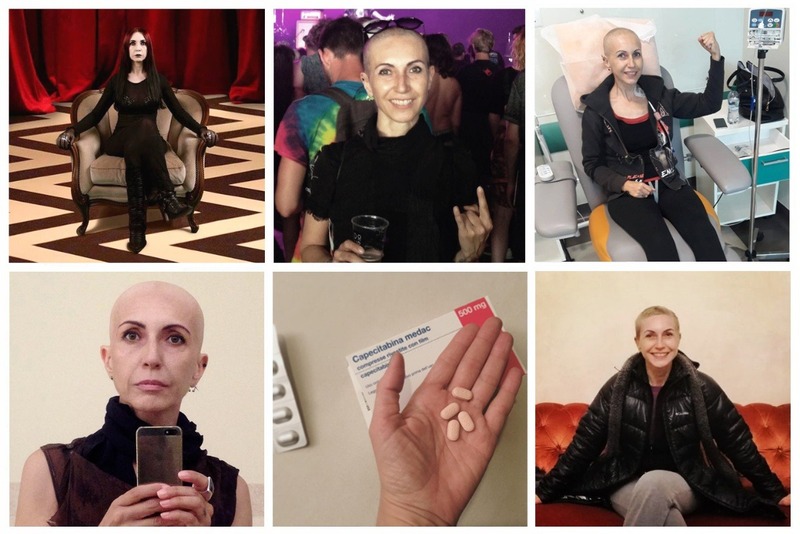 Last week she started experiencing hand and foot syndrome ( https://www.cancer.net/coping-with-cancer/physical-emotional-and-social-effects-cancer/managing-physical-side-effects/hand-foot-syndrome-or-palmar-plantar-erythrodysesthesia) and sometimes for her it is hard to walk. This therapy is supposed to end in July 2019. After this she could enter an immunotherapy trial (Adjuvant Treatment for High-risk Triple Negative Breast Cancer), but it is now early to speak about this. Meanwhile she got the balance invoice for the surgery. Total amount is 11.000 Euros, that's why I've just updated the campaign fund. So the new goal is 11K Euros, please continue to share and thanks a lot for your donations and support. Raffaella met the doctors on January 8 to get the mastectomy results: lymph node was OK, the tumor mass inside the breast was reduced by chemo, but not completely destroied. After the surgery it still measured 1,9cm. Raffaella got a "triple negative" cancer, a particularly aggressive biotype that doesn't respond to hormone and monoclonal antibody treatments. It can be only cured with chemo. This is why Raffaella will start chemo again in few days. She will get chemo pills for 6 months and every 3 weeks she will need to go to the hospital to have blood tested and get a new pills cycle. She's waiting for the surgery balance invoice. So here is an important update. First of all, I want to thank you for your generosity. The response to this campaign in these early days was surprising. With your donations we have already collected 50% of our goal in just 4 days. 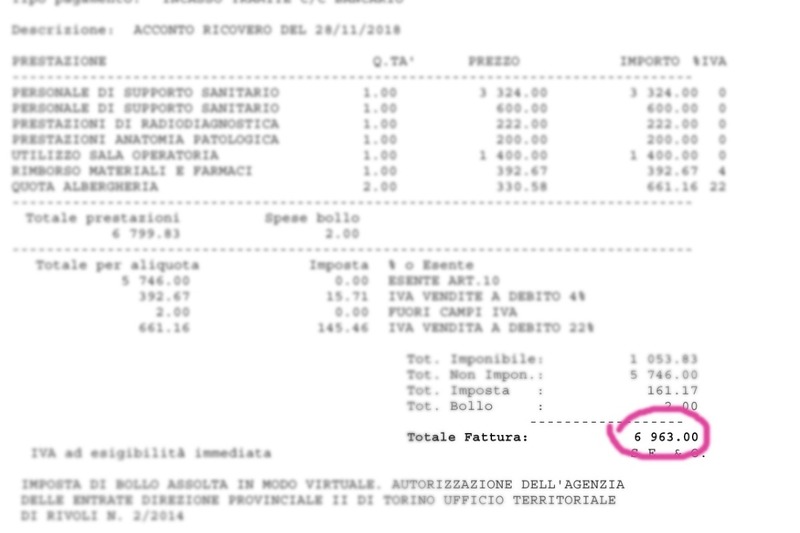 To date 2.269 euros have already been given to the final beneficiary, Raffaella, through two withdrawals. The remaining sums and the amounts that will be collected in the future will be taken weekly. The funds will be spent for: senology specialist visits (470 euros), needle biopsy and needle aspiration of the axillary lymph node (200 euros), genetic counseling and test for hereditary tumor on a panel of 30 genes (600 euros), partial coverage of the surgery of breast reconstruction. Any funds collected in excess will be allocated to oncology research, through a donation to IRCCS of Candiolo (TO), Italy. October 15, 2018: Raffaella (Cadaveria) is doing neoadjuvant chemotherapy to reduce a large multifocal breast tumor mass. She is reacting well but unfortunately this will not avoid her surgery, after which we will know whether she will have to do other therapies or not. The surgery is invasive, unfortunately it is a mastectomy with possible taking out of axillary lymph nodes. For breast reconstruction via the national health service, waiting times range from one to two years. The funds raised with this campaign will allow Raffaella to anticipate the reconstruction surgery, to get her image back as soon as possible and to leave behind this ugly experience more quickly. At this time Raffaella cannot work also because of a cardiac complication (pericarditis) discovered during treatments. We will also use these funds to meet current needs such as weekly trips to the center where chemotherapy take place and specialist medical consultations. Thanks in advance for your donations and shares. Surgery is set on November 28. Mastectomy and reconstruction will take place at the same time, thanks to your donations. Total cost will be 10k. We have updated the goal to 7K to cover the advance invoice. Please continue to share to engage other donors. Thank you. I want to thank you for your generosity. The response to this campaign in these early days was surprising. With your donations we have already collected 50% of our goal in just 4 days. 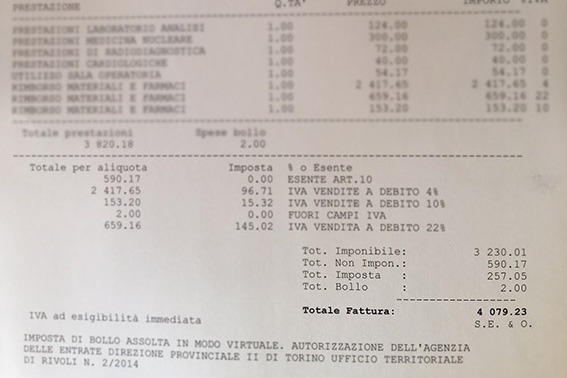 To date 2.269 euros have already been given to the final beneficiary, Raffaella, through two withdrawals. The remaining sums and the amounts that will be collected in the future will be taken weekly.